Lawmakers who spoke Tuesday said local school boards should have the authority to set school calendars. Meanwhile, lawmakers from western counties have filed HB 13 to exempt Catawba County Schools, Hickory Public Schools, Newton-Conover City Schools and Davie County Schools from state calendar law. School districts in the western part of the state want calendar flexibility because winter storms often wreak havoc on school calendars during spring semesters. “We should not stand between the local school boards who are elected, they’re elected from their communities,” said State Rep. Julia Howard, (R-Davie). 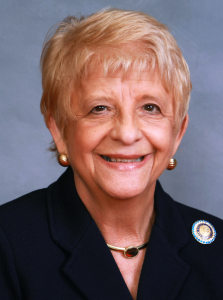 Howard filed House Bill 13 along with fellow Republican Mitchell Setzer of Catawba County. She said allowing districts calendar flexibility will not have a “drastic impact” against state travel and tourism. Howard warned that lawmakers will probably hear different from business owners, particularly those along the coast who want to keep summer workers on the job for as long as possible. Coastal leaders have lobbied vigorously against calendar flexibility because they believe it would have a negative financial impact on the state’s tourism and travel industry. In recent years calendar flexibility has garnered traction in the House, but has been rejected by the senate. Howard is betting against history that this year will be different. “I believe we can work with the senate and get an agreement to let us move forward with this,” Howard said. Many districts want calendar flexibility to align school calendars with area community colleges so students can make smoother transitions between high schools and the colleges. Riddell said Alamance Community College’s calendar is different by a week from the Burlington-Alamance schools calendar. Other districts want to start school earlier to reduce summer- learning loss. Many simply want to complete the first semester in December so students can take exams before winter break. “There’s a two week period [Christmas break] where they’re going to be cramming and studying to and trying to prepare for their exams to the detriment of their family vacation or they’ll possibly have a little learning loss and not do as well on the testing given in January,” Riddell said.